The first weekend in January was one for the birds - lovebirds, that is. Over on Instagram, Justin Bieber shared a suspiciously cuddly snapshot with his ex-girlfriend, Selena Gomez. Although the two singers seemed to be through with their relationship in March of last year, the caption to Bieber's January photo - "Love the way you look at me" - was cryptic enough to make fans of the couple sit up with hope. 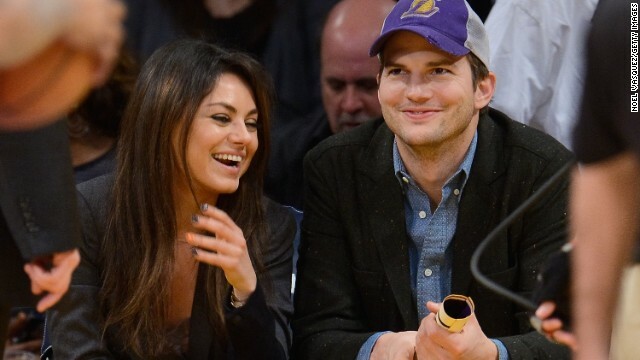 We wouldn't be surprised if Ashton Kutcher or Mila Kunis uttered similar sweet nothings to one another, given their closeness at the January 3 Los Angeles Lakers game. The couple, who've been dating for more than a year, were spotted having a ball courtside. The pair even snuggled up for a kiss, although they did try to get a little privacy. I wonder what she sees in him. This is a good impression of a n¡ppled¡ck man. Justin and Selena are my favorite celebrity same-sëx couple. I just love Mila and Ashton together..yep..because of "That 70's Show".